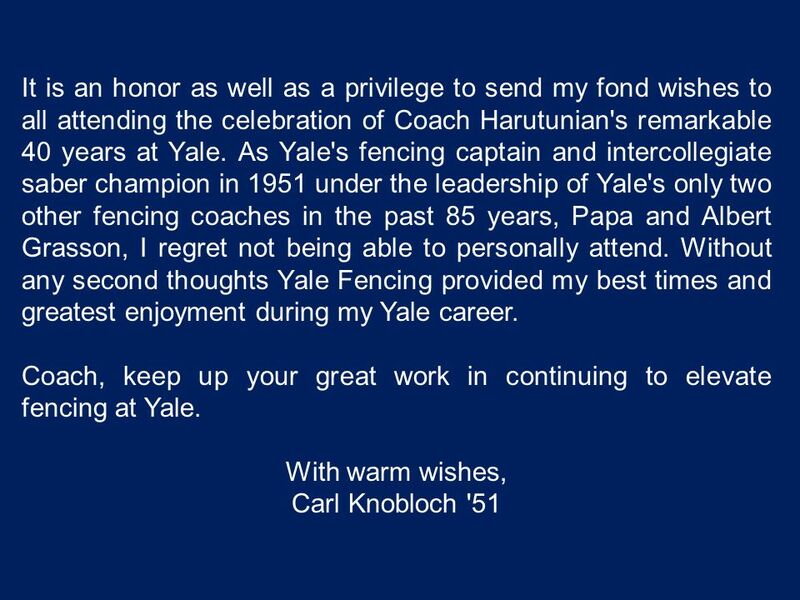 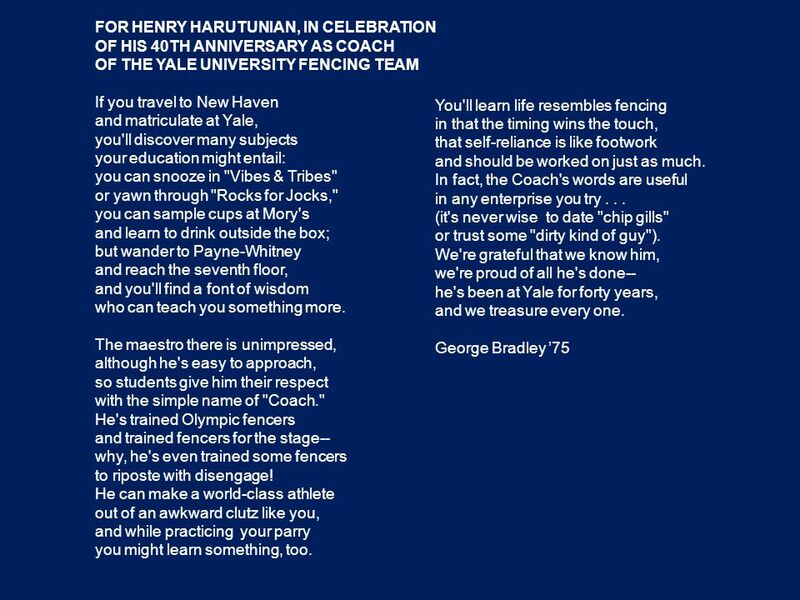 Yale Fencing 40th Anniversary of Head Coach Henry Harutunian. 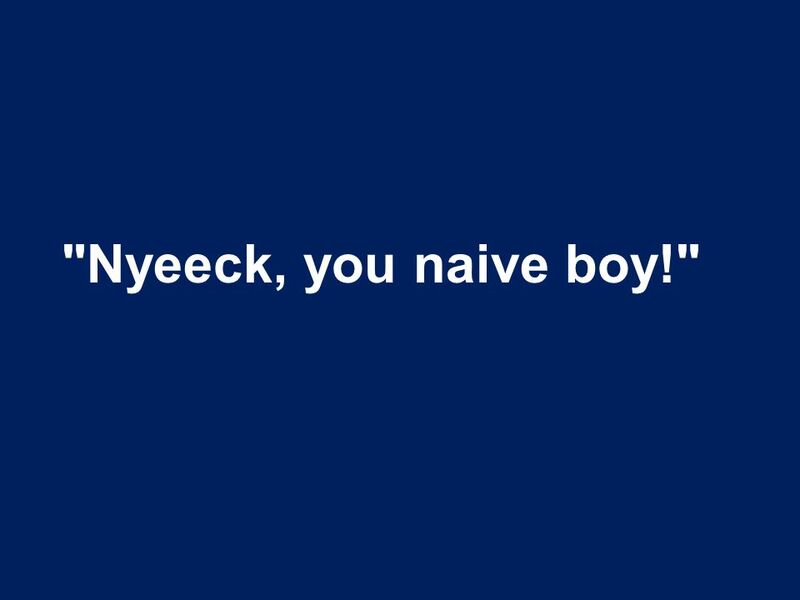 25 "Believe me or not……"
33 "Nyeeck, you naive boy!" 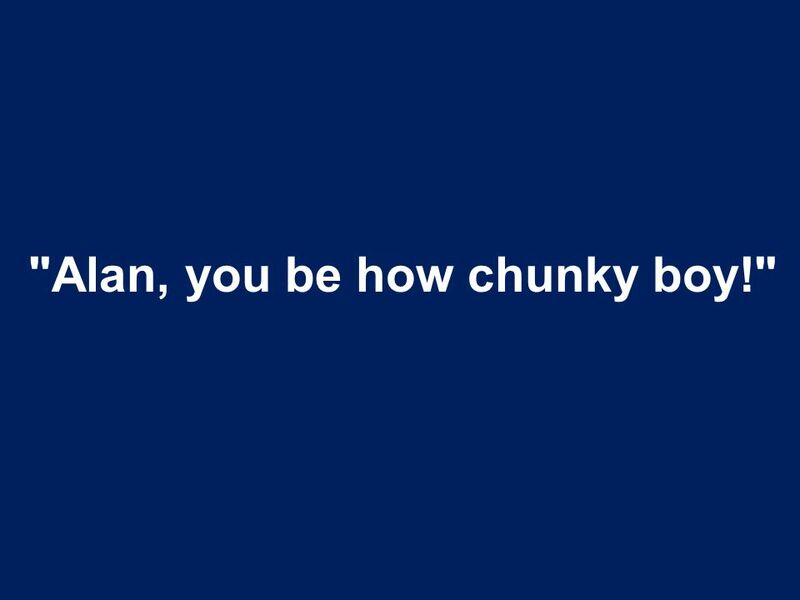 39 "Alan, you be how chunky boy!" 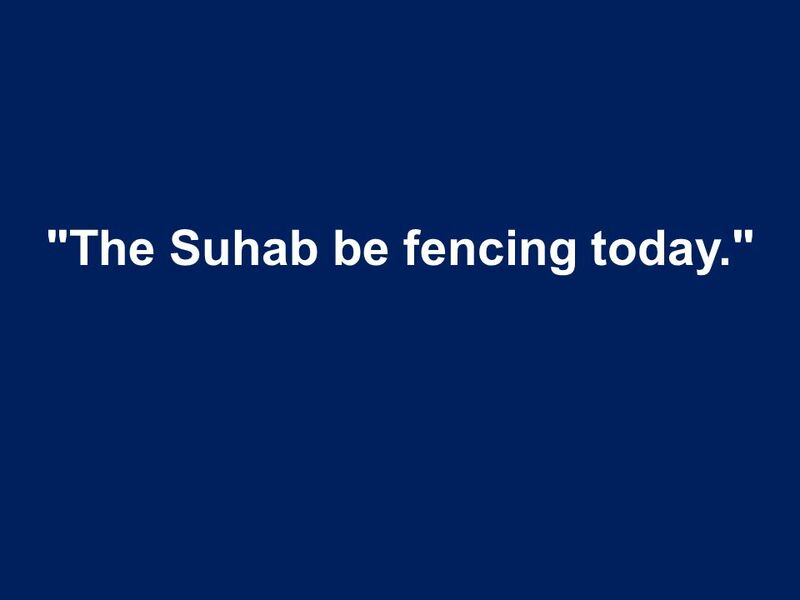 43 "The Suhab be fencing today." 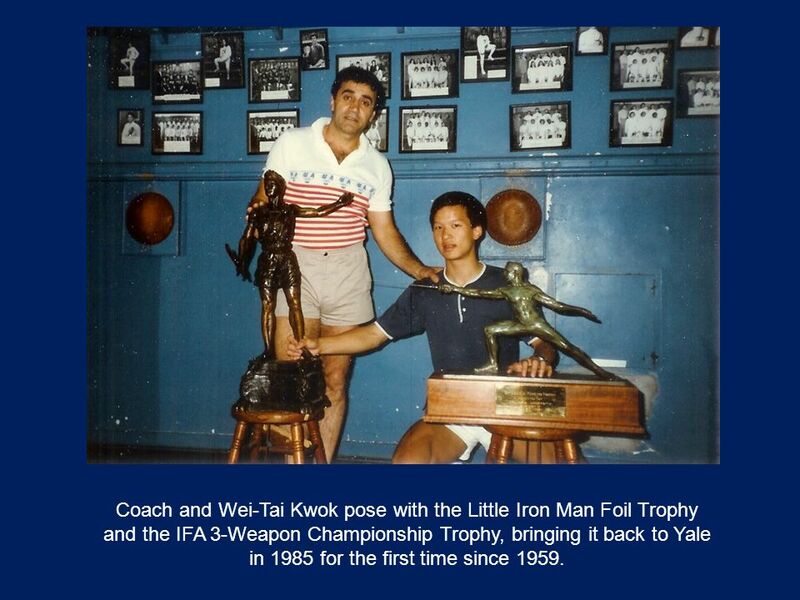 49 Coach and Wei-Tai Kwok pose with the Little Iron Man Foil Trophy and the IFA 3-Weapon Championship Trophy, bringing it back to Yale in 1985 for the first time since 1959. 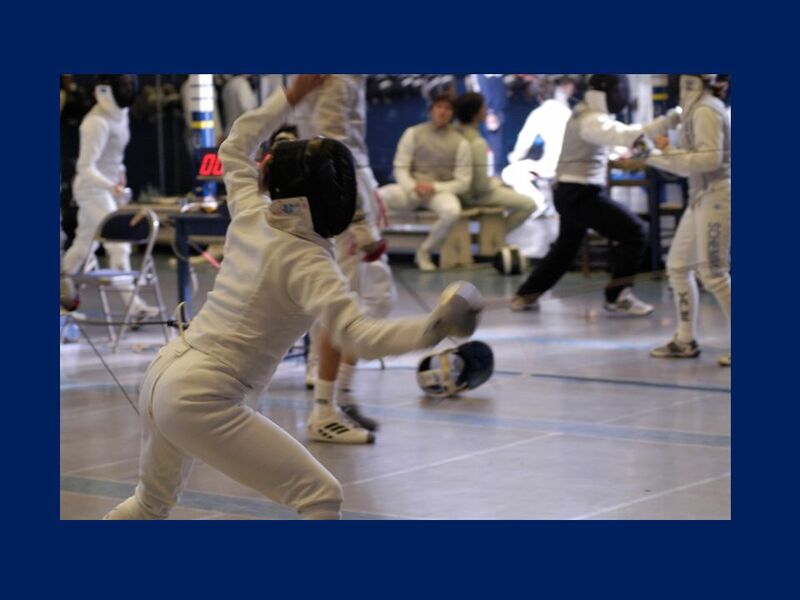 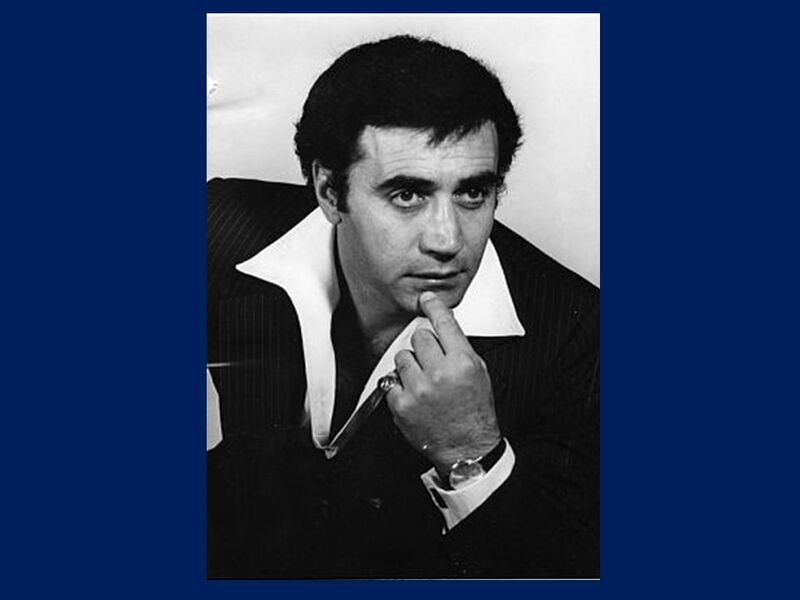 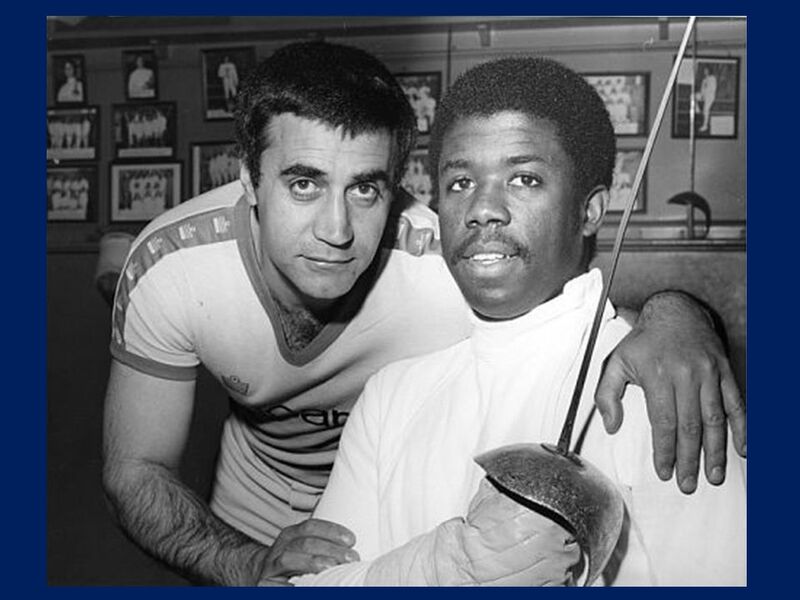 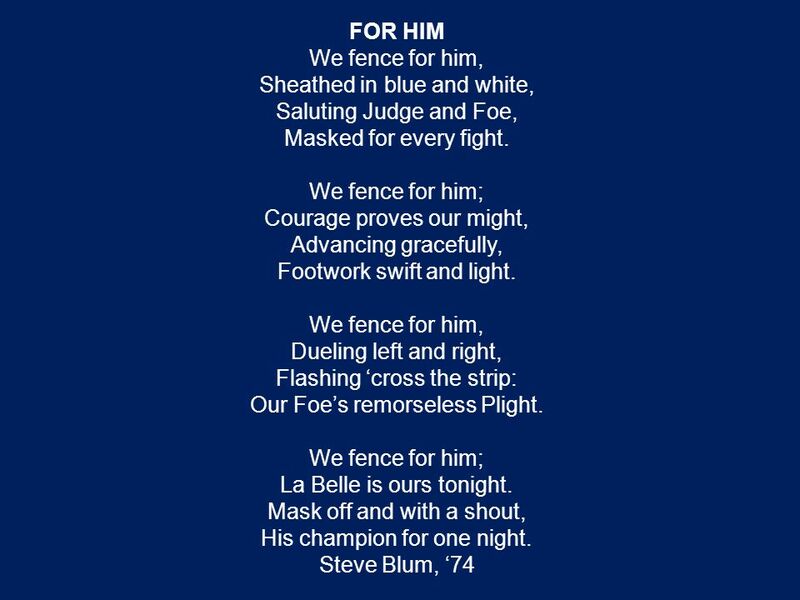 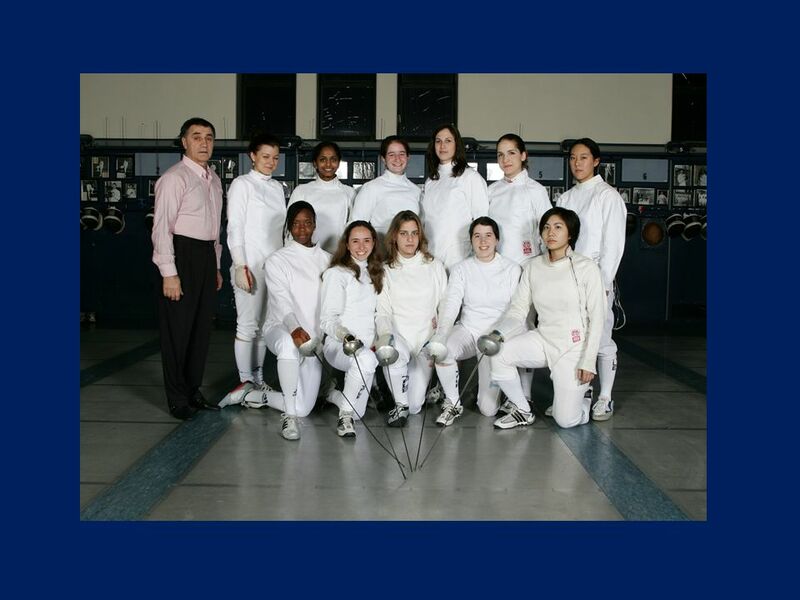 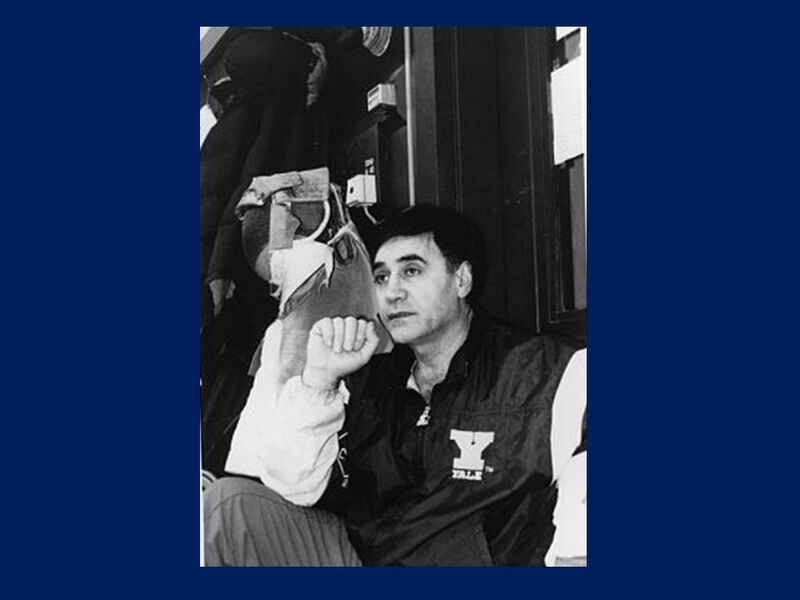 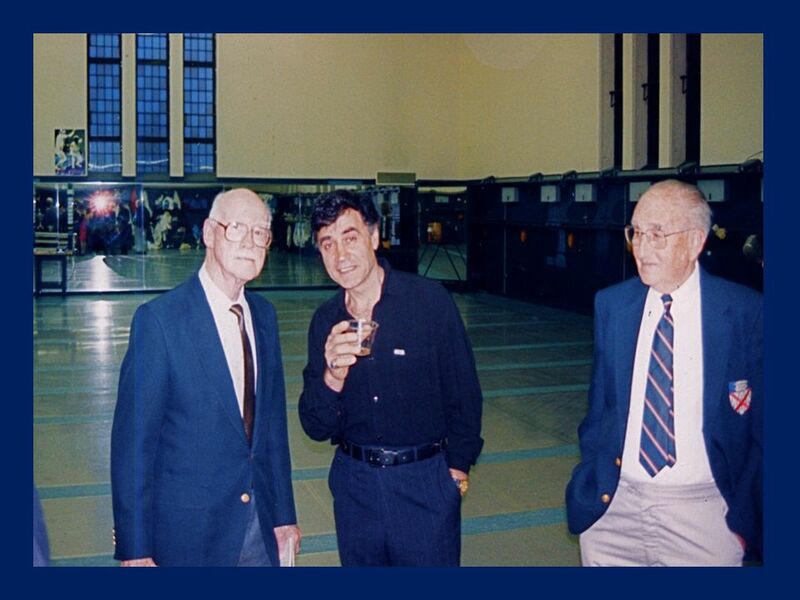 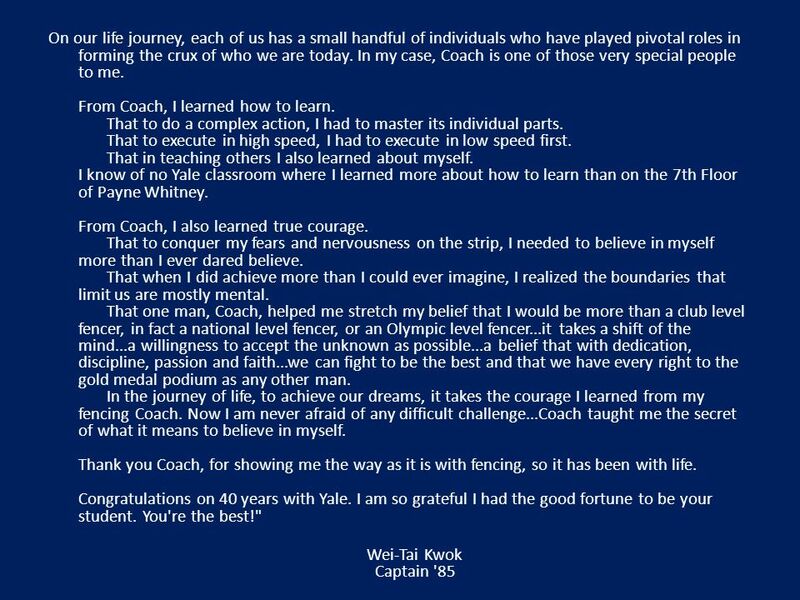 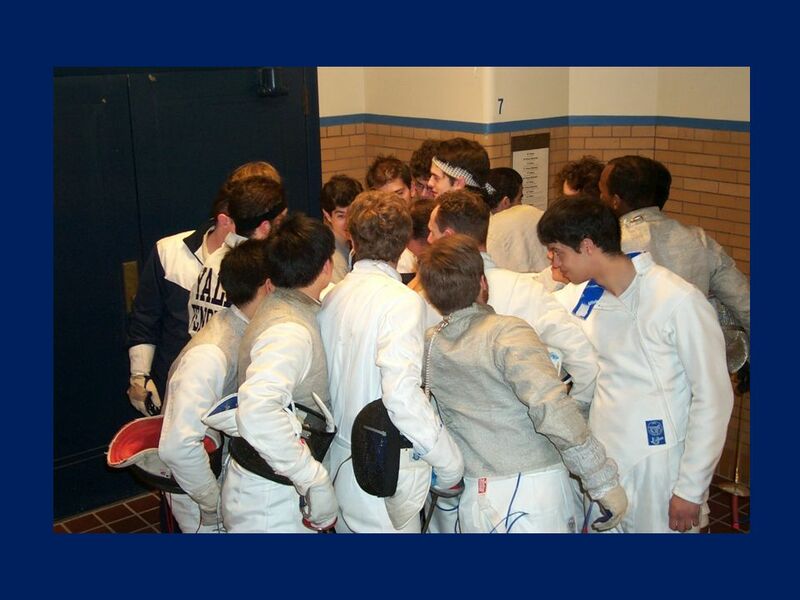 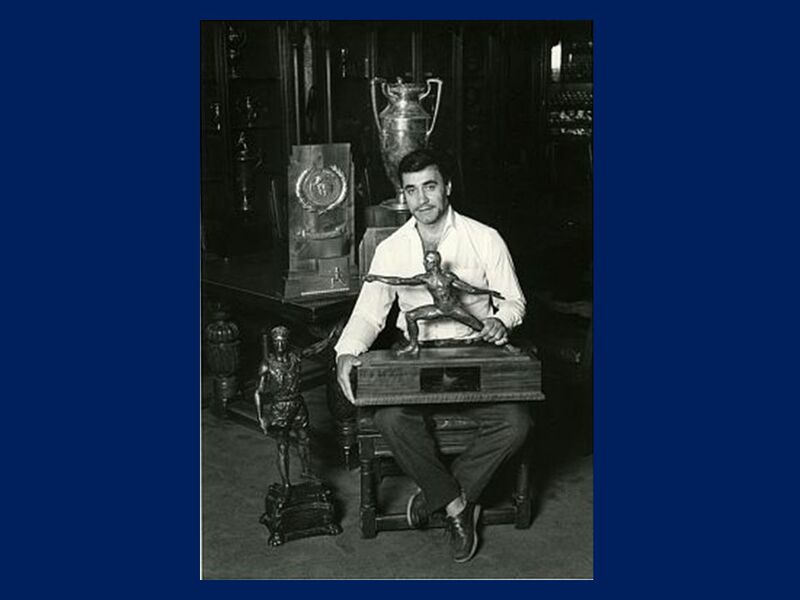 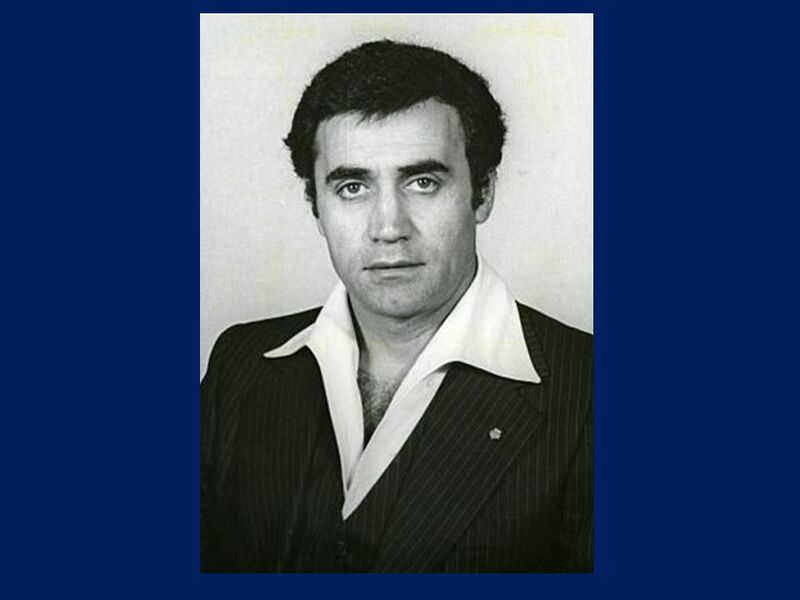 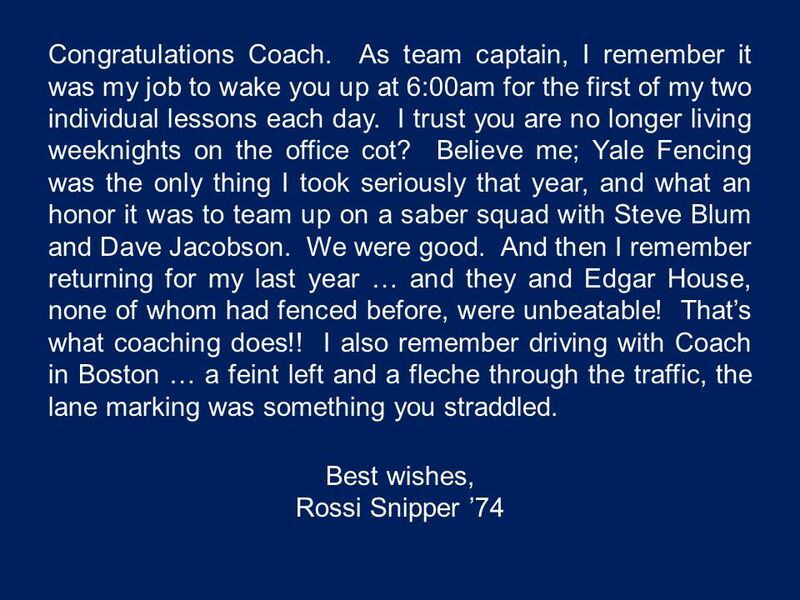 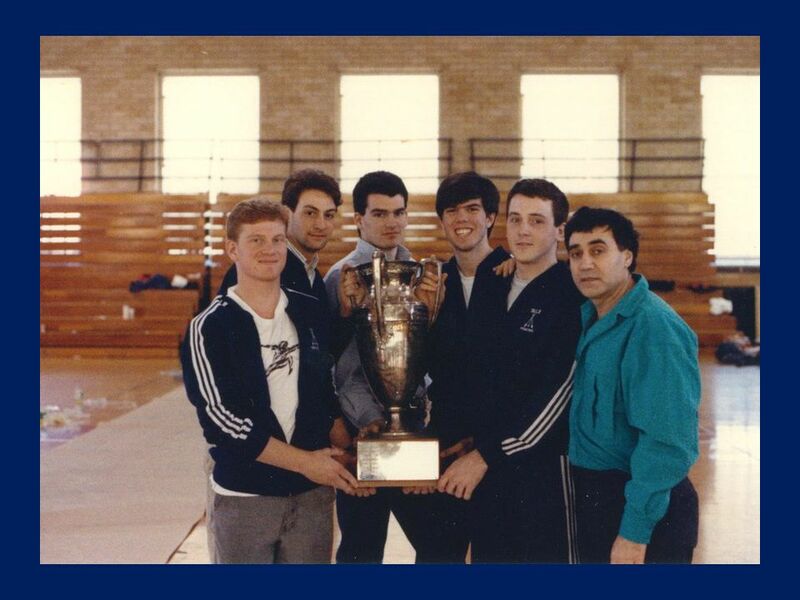 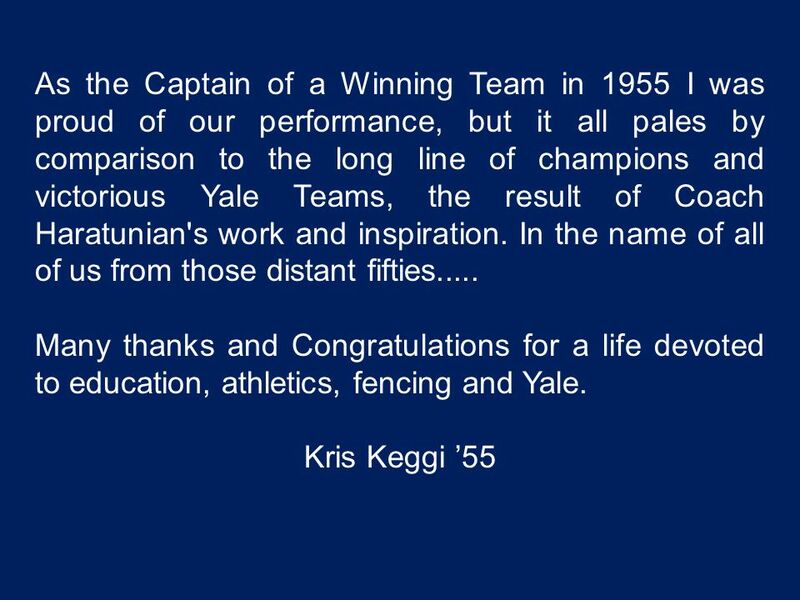 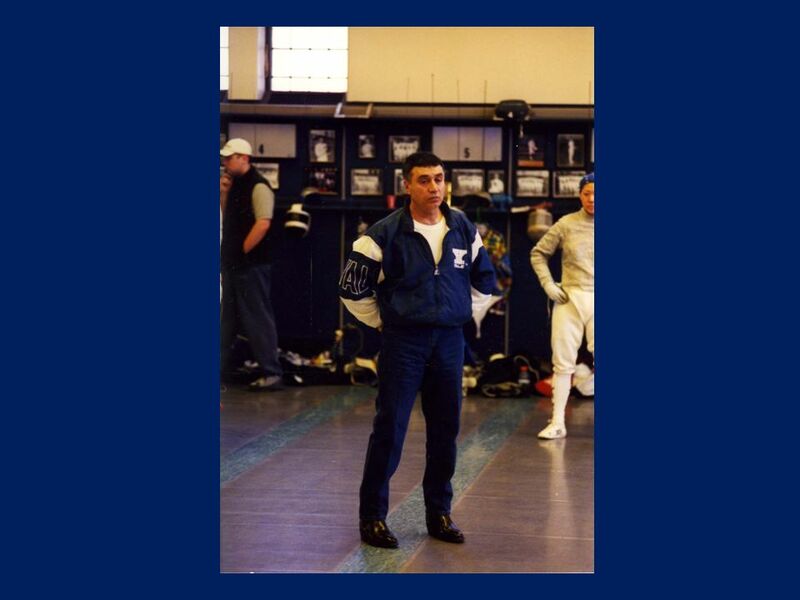 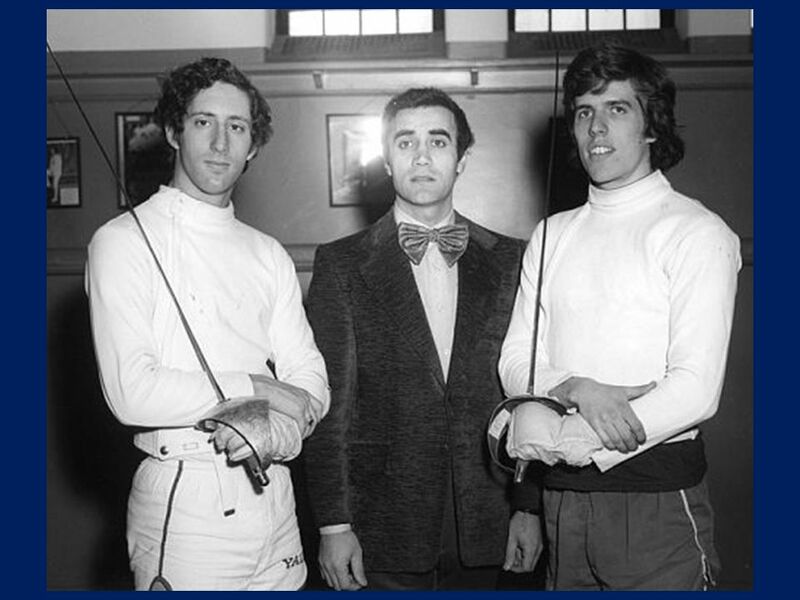 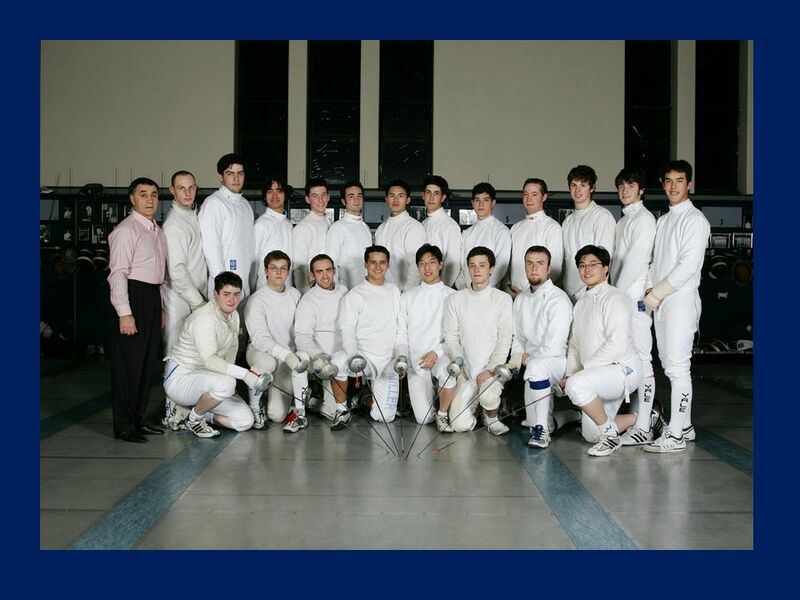 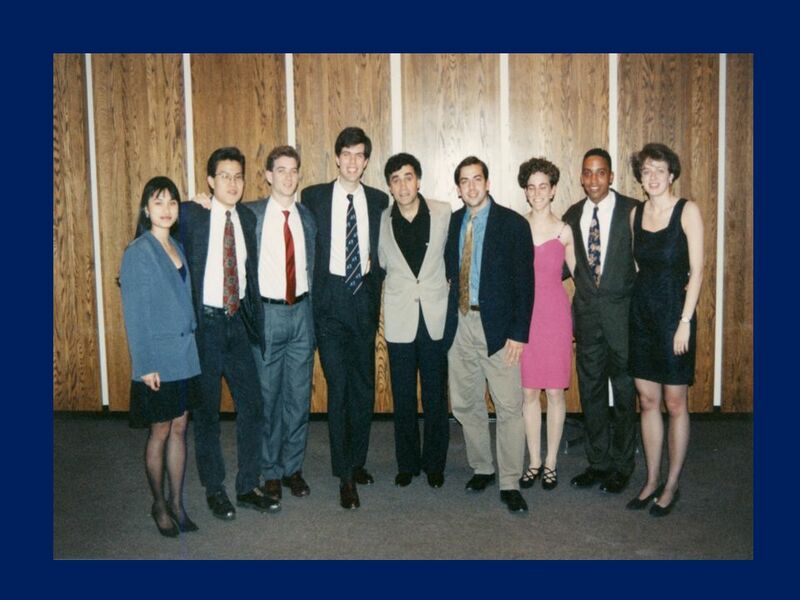 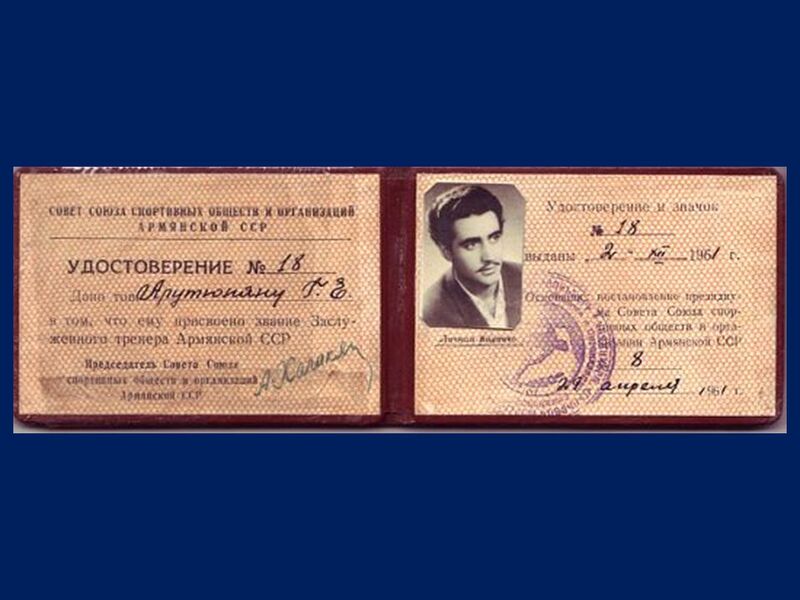 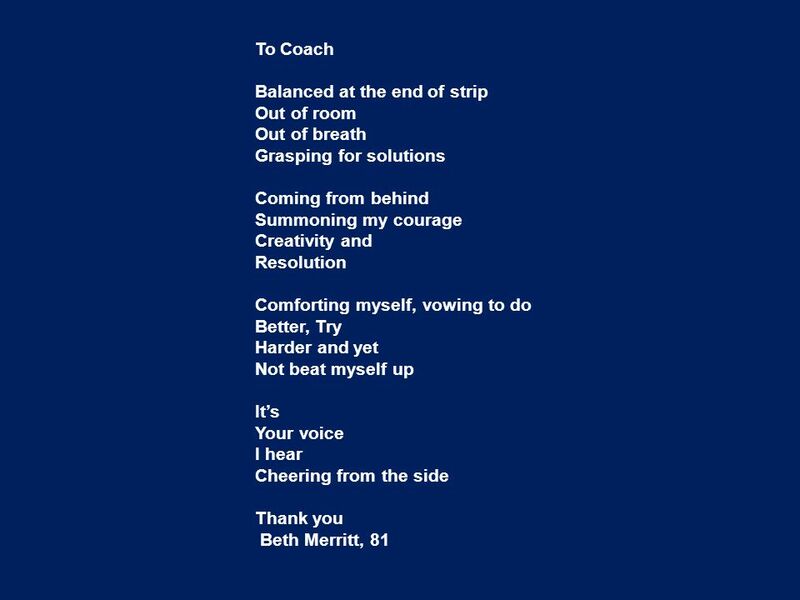 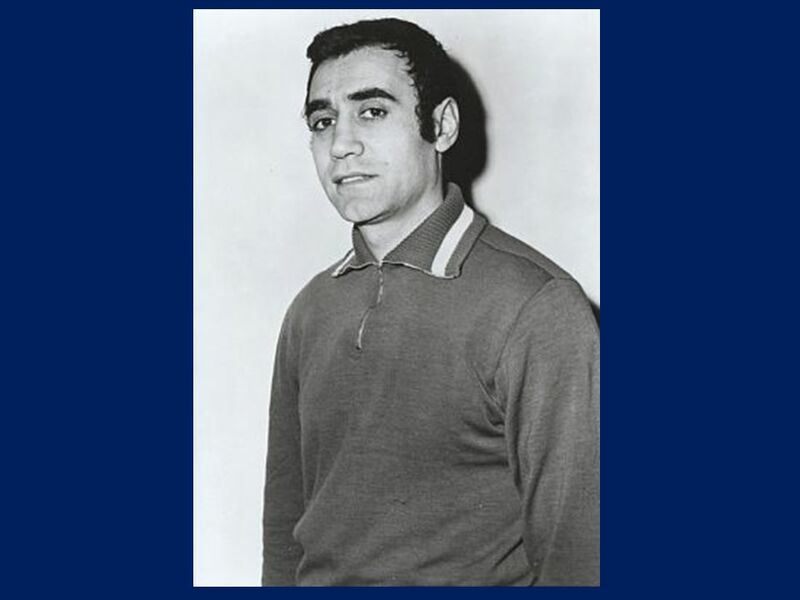 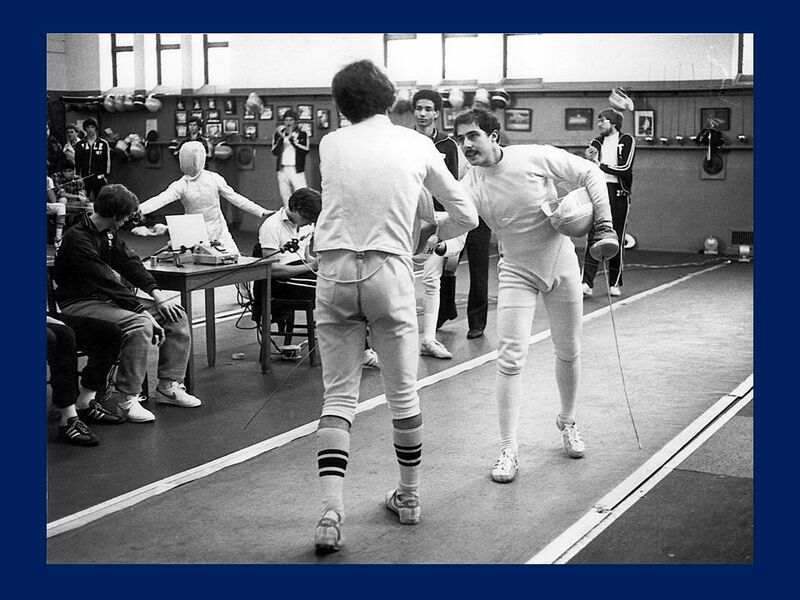 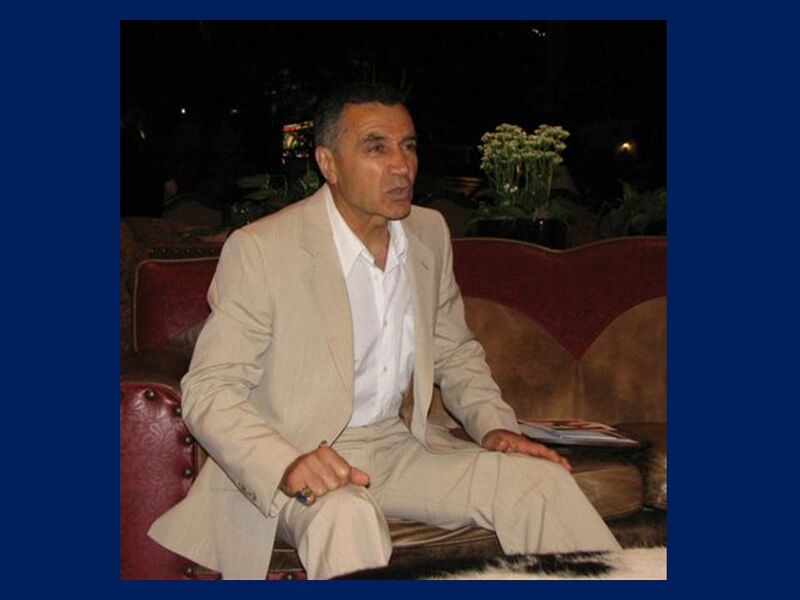 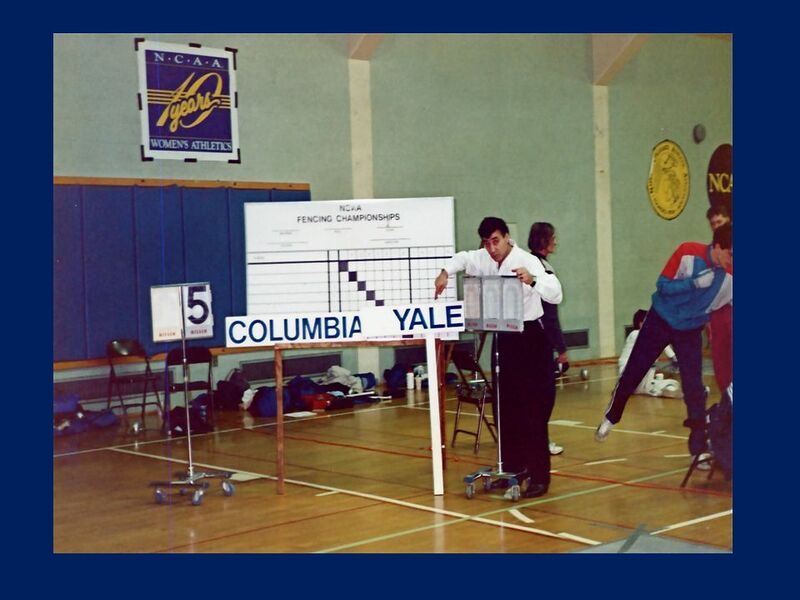 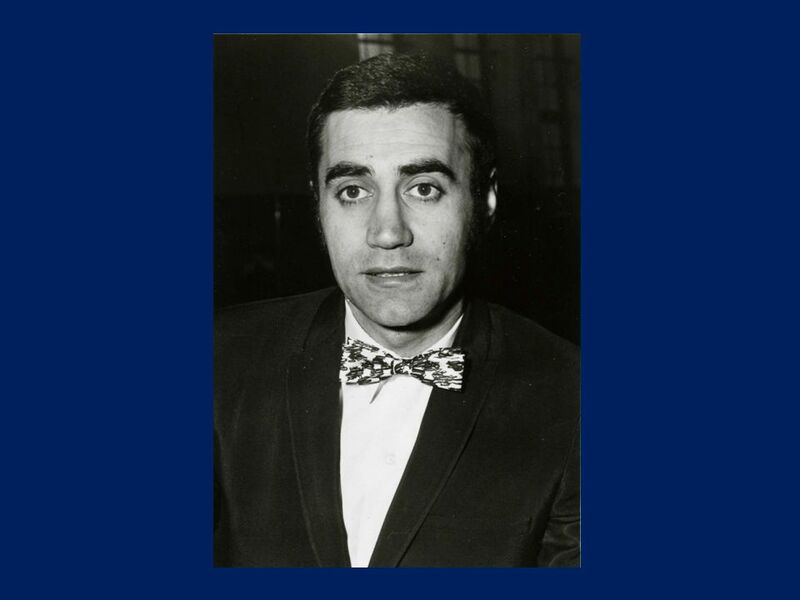 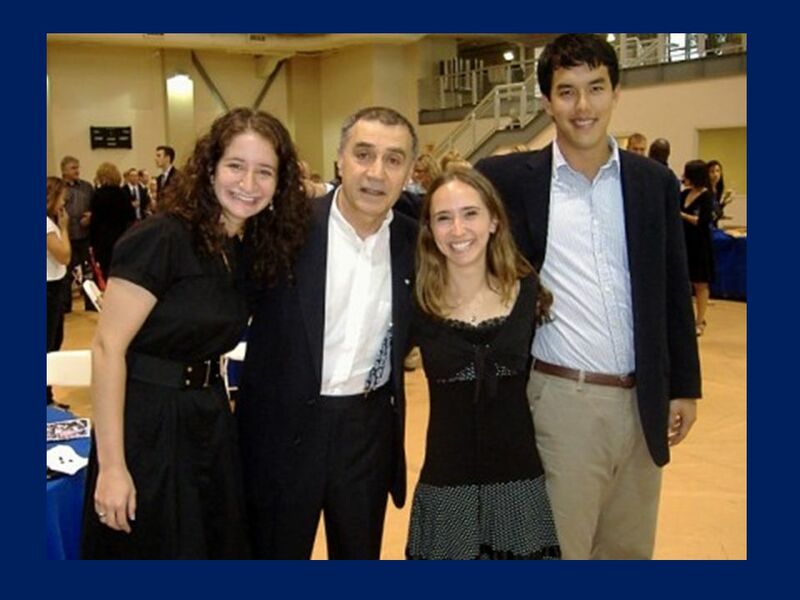 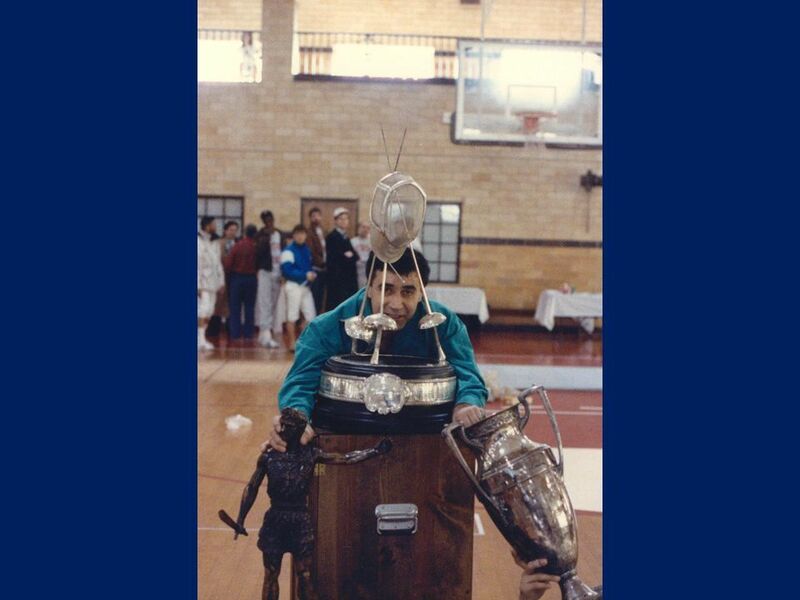 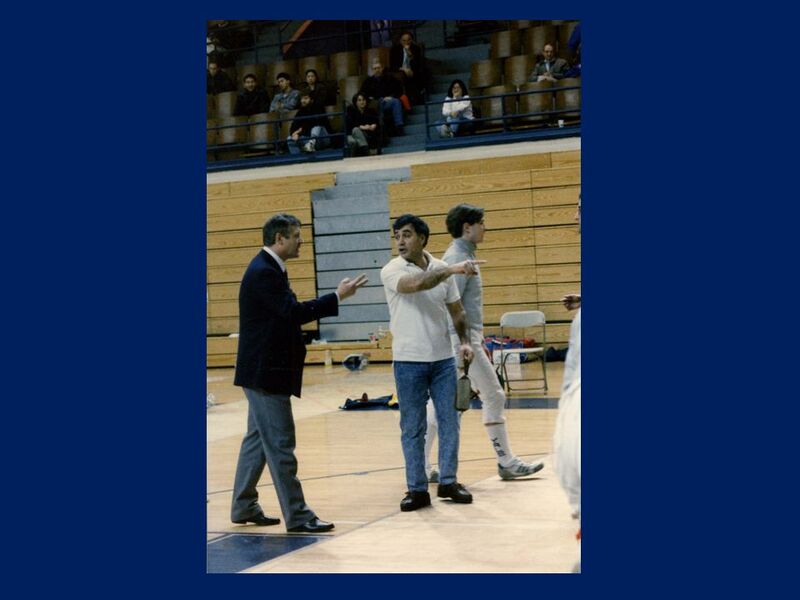 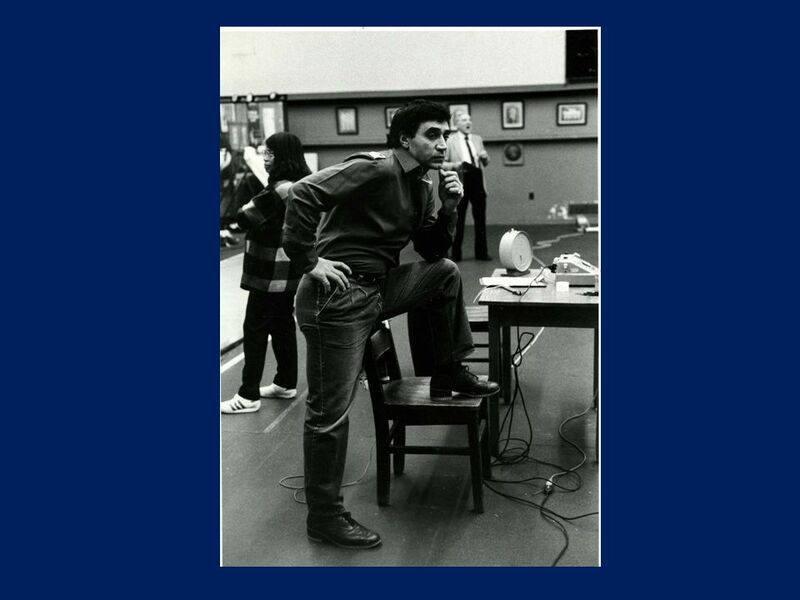 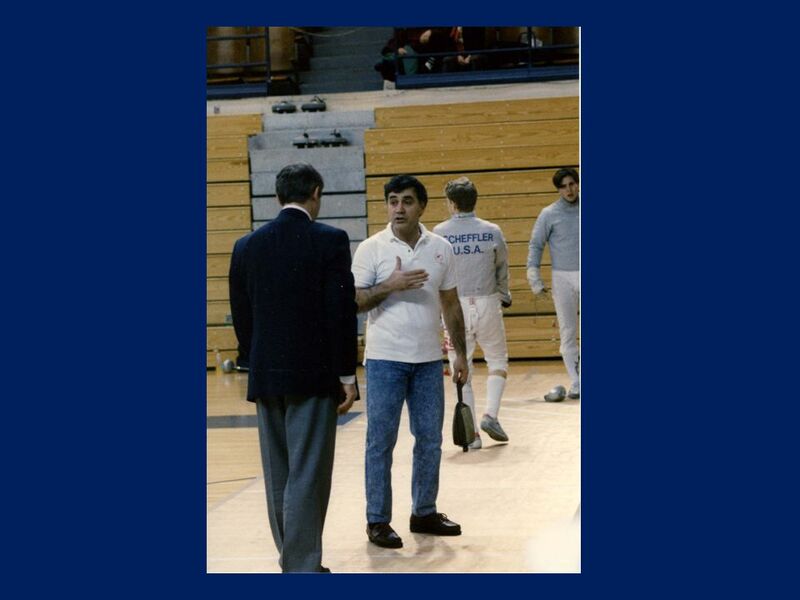 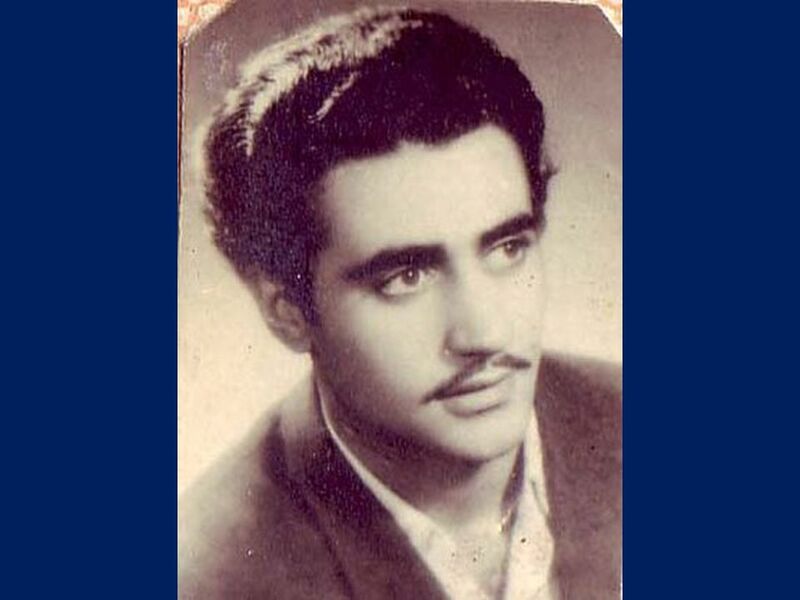 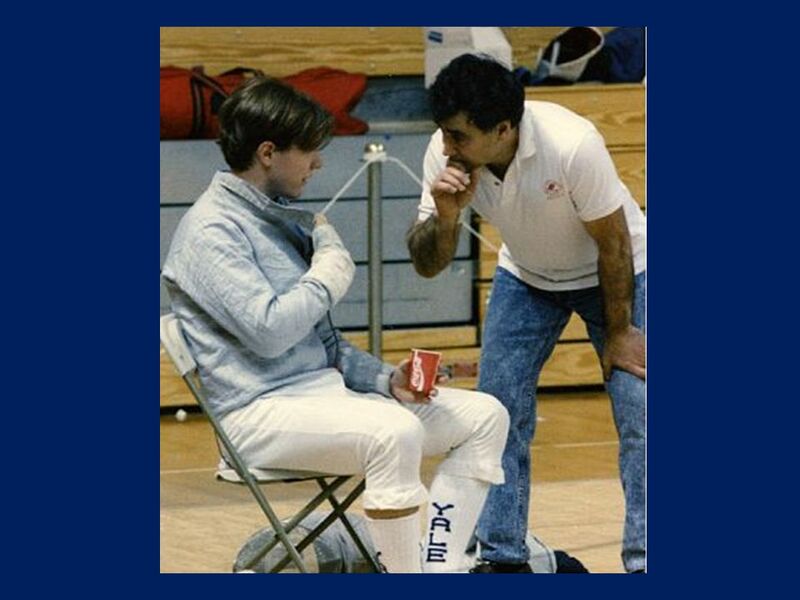 Download ppt "Yale Fencing 40th Anniversary of Head Coach Henry Harutunian." 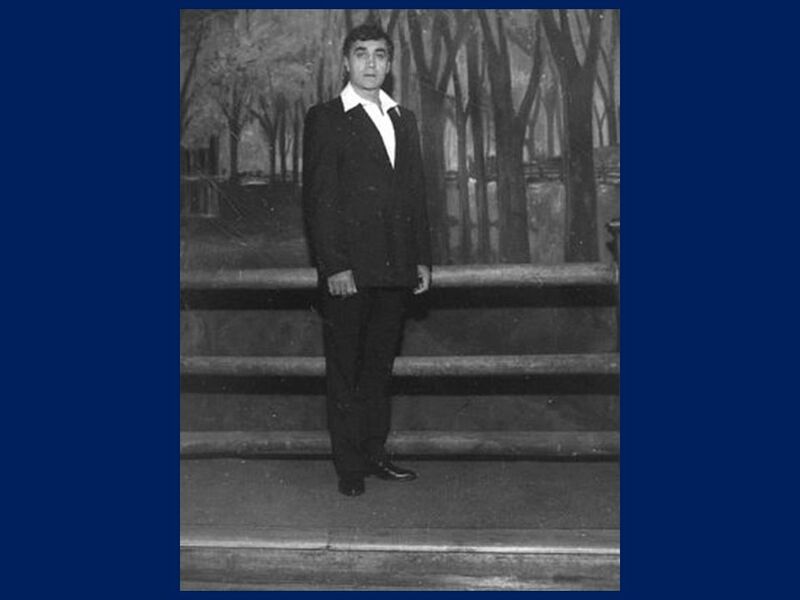 I want buy a ticket see the film! 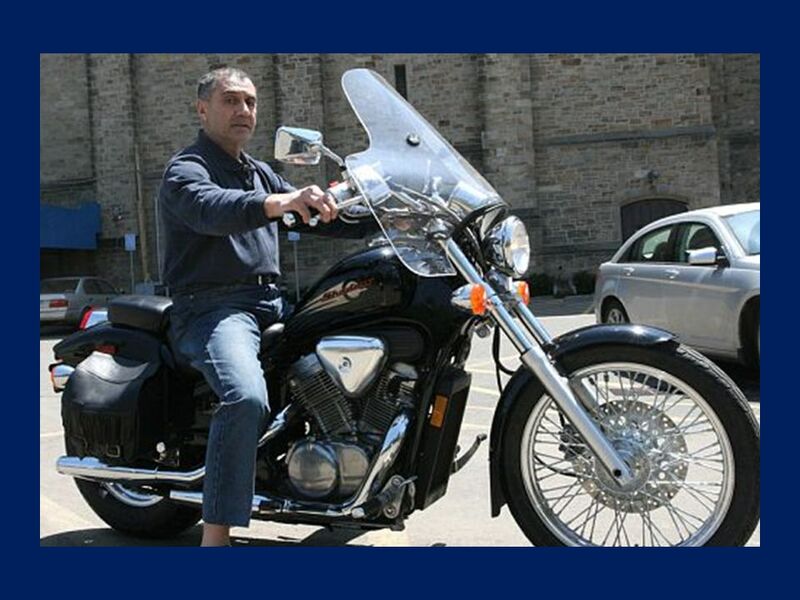 to to + I want to love her. 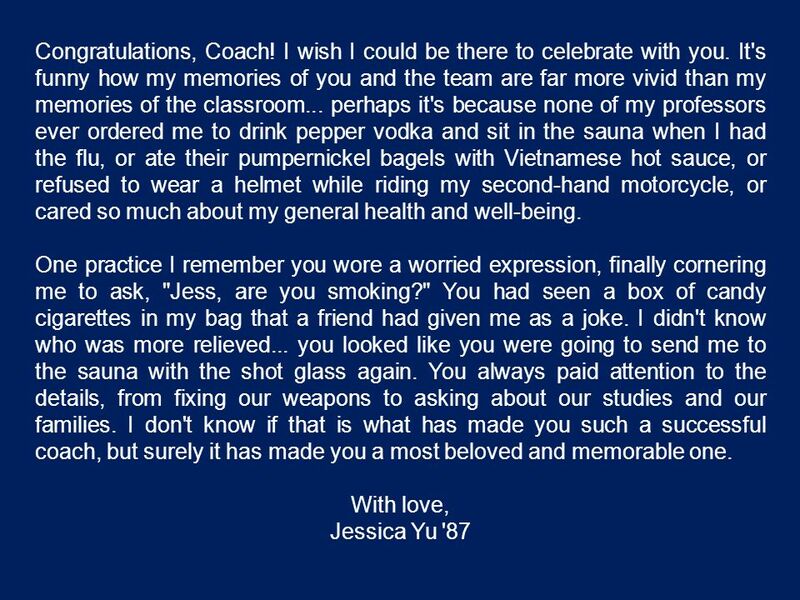 I want to have loved her. 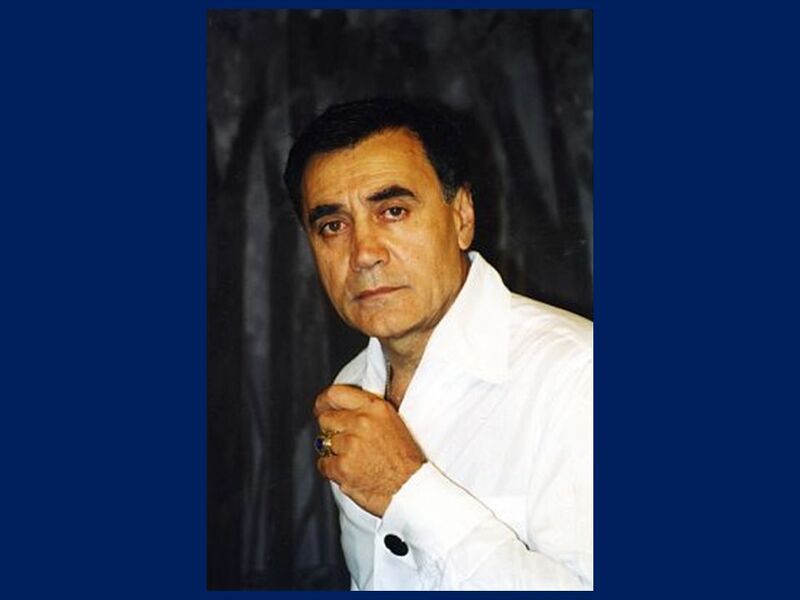 He seems to be sick. 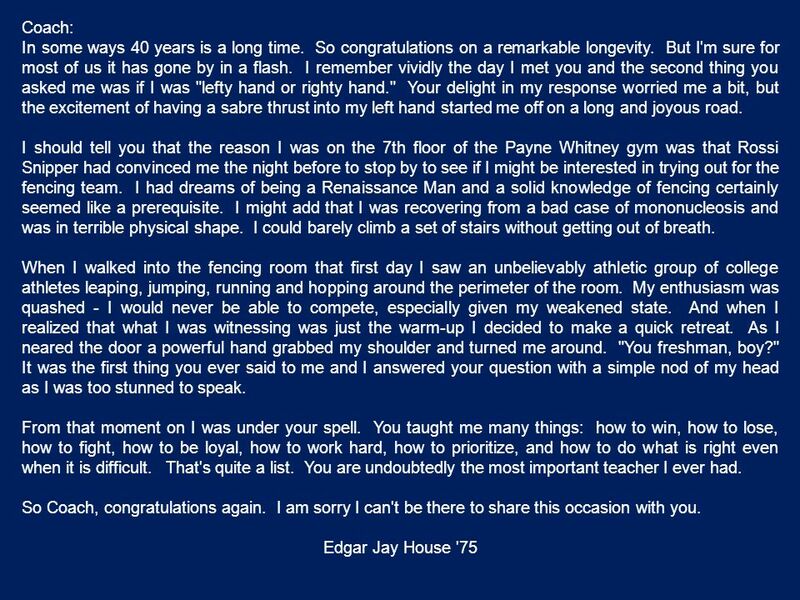 He seems to have been sick. 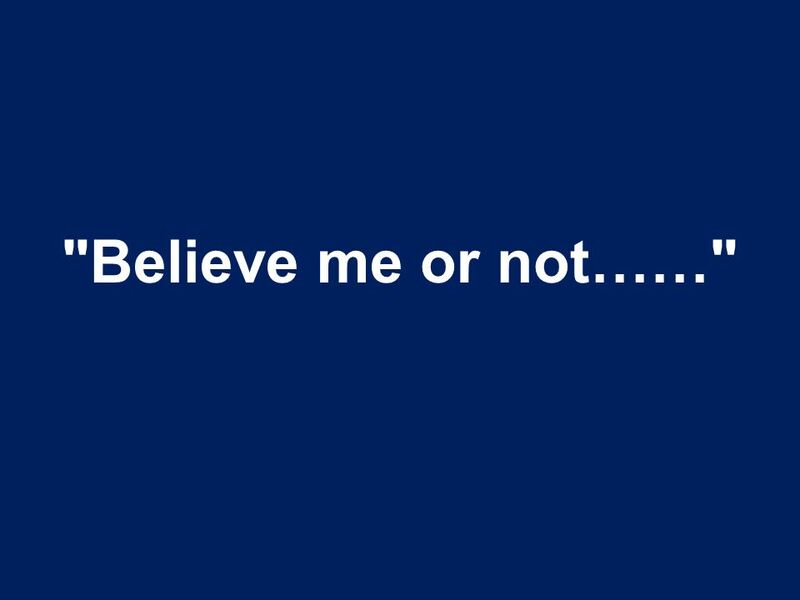 They seem to. 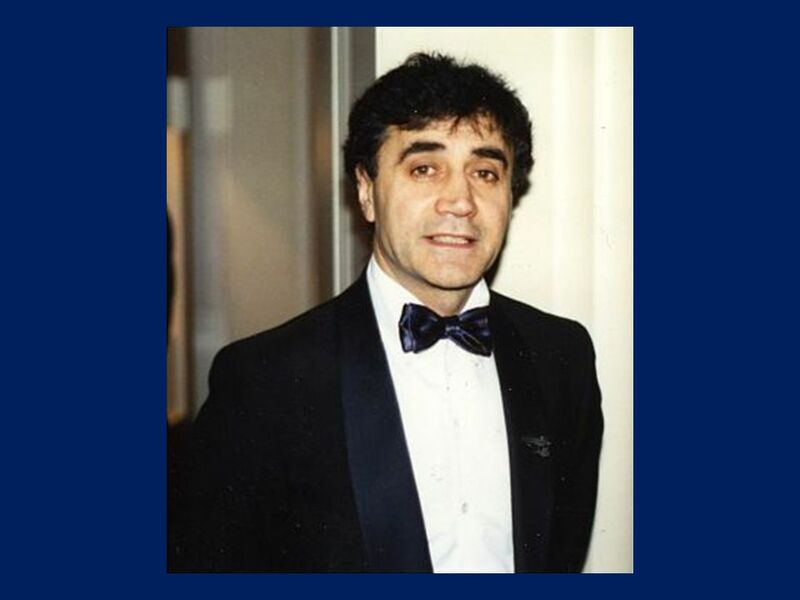 Every Successful Innovator Knows This InnovationInnovation is actually a very simple phenomenon.simple Innovation is about Love:Love do what you love.